The mix demos come courtesy of our friend Richard London. You can hear more of Richard’s awesome tracks here. Drawing its inspiration from alternative universes and alt-Victorian gothic excesses (with a bit of H G Wells thrown in for good measure), SteamPunk is a Frankenstinian mashup of barrel organ, steam machine and electrical synthesiser – the perfect instrument for serenading the night-ghouls of Paris as you drift safely above them in the gondola of your hot-air balloon. Or something like that. However you choose to use it, it sounds pretty cool. 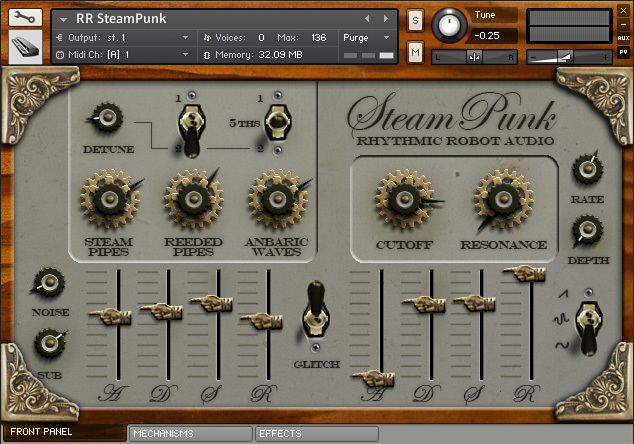 SteamPunk is based around three sound engines: the Steam Pipes are wooden organ-style pipes with a breathy, flutey presence; the Reeded Pipes are sourced from our 37-note Suzuki Melodica, and introduce a buzzier and more harmonically dense tonality; while the Anbaric Waves access a crusty, electrically-generated set of oscillators driven through malfunctioning paper-cone speakers and prone to overload and breakup. In addition, Sub and Noise waves can be welded into the mix to broaden the sonic palette still further. 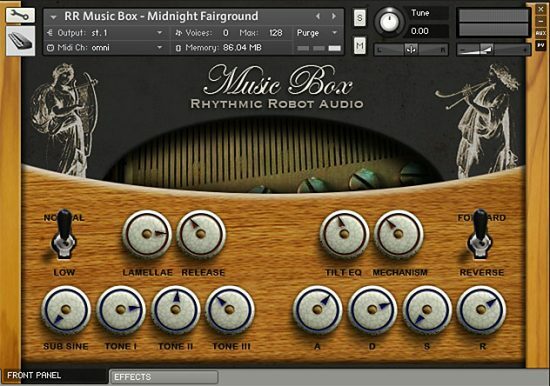 These sound engines create the core tone, but what really brings SteamPunk to life is the Mechanisms pane, where you can take control of the creaks, wheezes, buzzes and chiffs that any self-respecting alt-Victorian anbaric barrel organ produces in the course of its operation. Key-on and key-off noises are handled separately, while a dedicated block of dials controls precisely how imprecise you want your waveforms to be. Pitch and pressure are subject to random variation, and there’s plenty of deliberate instability throughout the instrument. 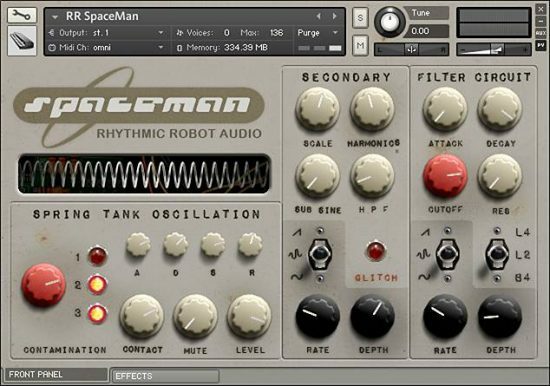 Core waves can be detuned, set to 5ths, or doubled up for thickness; and the whole thing can be run through a nice chewy filter circuit to bring it under control. 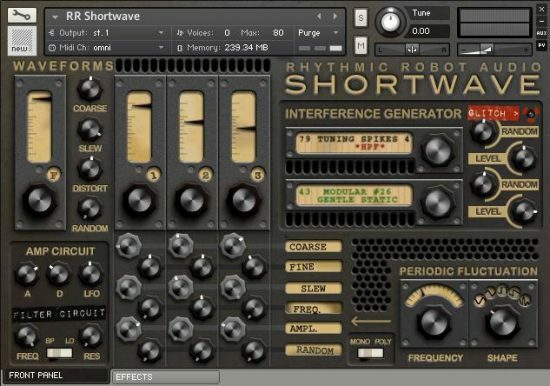 The result is a soundset that can evoke either the nostalgic glow of the fairground calliope or the implacable threat of Dr Jekyll’s laboratory: the twist of a dial can be the difference between sweet simplicity and moody oppression. 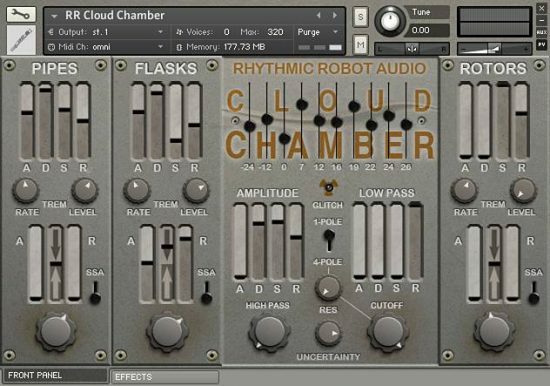 Balancing the Anbaric Waves against the two air-driven oscillators allows the organic vibe of the sound to be either subtle or full-on, while the filter and various control parameters mean that more traditional pipe-based starting points can be given a modern (or wormhole-universe) slant. And of course our Glitch Control gives you instant randomised patches to call your own! This thing sounds absolutely wonderful. And the best part about it is that it’s very useable, while also being amazingly unique. Truly an RR specialty. This sound library is just gorgeous. Atmospheric and melancholy in equal parts, the sounds transport you to a different place and time. I found myself wishing I was wearing a stove pipe hat and looking at my fob watch! Set against some of my other sonic influences and some clean guitars, this library will find application in a lot of my music. one of the things that RR does well is choosing proper bedfellows. The reeds, pipes, and “anbaric” sounds go together SO nicely. 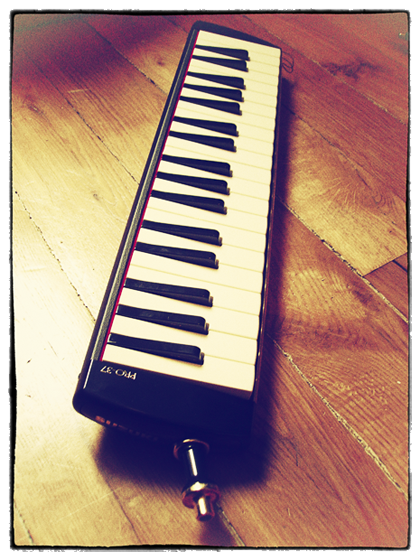 Great instrument! This instrument sounds as good as it looks! Very easy to dial in rich sounds, and I especially love the the mechanisms page, which can add a lot of character to the attack and release of sounds. The flexible mechanisms make this instrument very evocative and capable to catch a lot of nuances of the intricate steampunk world! Although I am not into the whole steam punk theme, this instrument is a great catch. 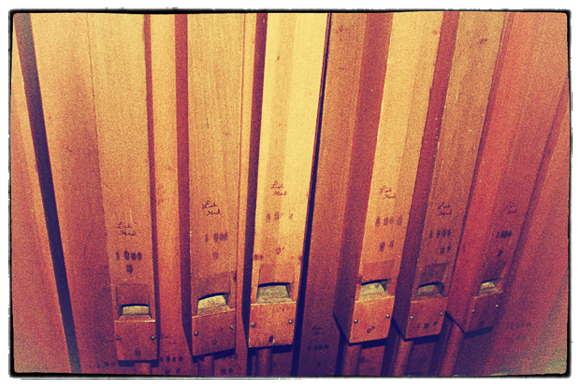 Enormous sound spectrum, with all the advantages of an organ, the mixing possibilities of the voices and tunings. Very intuitive and precise navigation for sound design matters and a great source for developing sound ideas. Big fun to dive into this pool. Great work!